Apple needs a dual business model, one for the advanced economies and another for emerging economies. 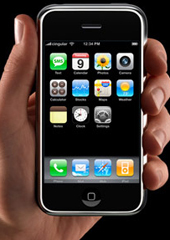 By the end of 2009, some 100,000 iPhones had been sold in China — in a marketplace of more than 800 million mobile users. In India, the iPhone was about 68% of the annual GDP per capita. That would translate to $31,500 in the United States for an iPhone. Apple needs to develop cheaper pricing models, and it must build distribution in the must-win emerging markets. Apple needs to scale up fast. It needs to develop cheaper pricing models. It must build distribution in the must-win emerging markets. And it must tailor its singular product, at least to some degree. If, hypothetically, the current growth rates of Nokia and Apple were to continue, Apple would sell 35-45 million smartphones in 2010, about half of Nokia's estimated 70-80 million units — or 10% of Nokia's total mobile devices worldwide. But to surpass Nokia globally, Apple would have to increase production ten-fold — to some 400-500 million smartphones on an annual basis. And yet, Apple is already struggling to manage its explosive growth — as reflected by the iPhone 4's "signal loss," which led to a firestorm of criticism from the media and consumers. Now Apple is also grappling with another dilemma: The White iPhone 4 is suffering from light leakage. In brief, Apple is struggling to manage explosive growth, which is not simple because it has no production facility of its own. It is entirely dependent on a few suppliers. And only a few of these outsourcing giants could manage massive volumes, including Flextronics, Hon Hai (Foxconn) and Sanmina-SCI. And then, there is the issue of bad timing. Today, the world's largest electronics contract manufacturers in Guangdong suffer from extraordinary labor turmoil and unprecedented salary hikes. Since early spring, Foxconn — which won Apple's order to make the iPhone — has been in the global spotlight, due to multiple suicide cases. And even if Apple could manage a massive ramp-up of production, what about the price? In the entry stage, Apple's iPhone has flopped in India and China — the most critical marketplaces of the future. In India, high prices buried the product some two years ago. For phones whose components cost about $187, Apple and Airtel stuck to the $700 price for the phone in India — in contrast to $199 with a two-year AT&T contract in the United States. In relative terms, the price in India was about 68% of the annual GDP per capita. In the United States, GDP per capita is $46,400. So the question is, would you pay $31,500 for an iPhone? After India, the iPhone also flopped in China, where it arrived with a price tag of a stunning $1,000 without a contract. By the end of 2009, some 100,000 iPhones had been sold in China — in a marketplace of more than 800 million mobile users. Certainly, there are iPhone clones, but they suffer from quality problems and erode Apple’s brand. They represent value that Apple is not capturing. As the rivalry for the global smartphone market heats up, it is also being exported to the large emerging markets, particularly China, which will make or break the future winners. In July, Apple opened its 1,500-square-meter Apple store with 80 Mac computers, 100 iPods and 60 iPhones at the foot of the International Financial Center in Lujiazui, Shanghai's Pudong New Area. Research firm Canalys expects Apple volumes to grow 90% in 2010 to 9.1 million units in the Asia-Pacific, which will become the largest smartphone region by 2012. Nokia launched its own flagship store already three years ago in the famous shopping street of Nanjing, in the center of Shanghai. Nokia's challenge is regional and technological. To stabilize its competitive position, it must launch hits in the smartphone market in the next 6-18 months and, concurrently, increase its market share in the United States. Otherwise, it risks deterioration in the United States and in other advanced economies, as well as over time even in the emerging world. Just as Nokia cannot simply focus on low-end global markets, Apple cannot just focus on high-end developed markets. Due to rapid commoditization, today’s expensive high-end gadgets are tomorrow’s cheap low-end staple. Apple's challenge is global. In the global markets, companies can no longer afford to be strongly U.S.-centric, starting product launches in the United States alone and only gradually reaching other markets as supply chains catch up. In order to leverage its success into the emerging world, Apple needs a dual business model, one for the advanced economies with high living standards but slow growth — and another for emerging economies with low living standards but high growth. Today, Nokia has such a model, while Apple does not. Some argue that Apple should concentrate its high-end segment and cult followers and ignore the rest. Unfortunately, such a strategy cannot maintain continued growth globally, which is vital to sustain Apple’s high market valuation. If Nokia fails in the United States, in the longer-term it will be vulnerable worldwide. If Apple fails globally, its stock price will be affected adversely as well. And Nokia and Apple are not the only rivals. RIM continues to dominate the U.S. market, and Google-based Android phones are increasingly attractive globally. In the United States, RIM still leads with a 32% market share. Internationally, it has been hit by the decision of the United Arab Emirates to suspend BlackBerry mobile services in October, due to security concerns. In the second quarter, the Google-backed Android operating system grew an impressive 886% in the United States. However, the captured value goes to operators (Verizon Wireless in the United States), which offer Android-based services, and equipment makers (Motorola and HTC in the United States), which sell Android devices — not directly to Google. In the past, companies could marginalize large emerging markets. Today, global leadership requires success in the advanced economies and the emerging world. 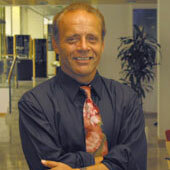 This is Part II of a two-part essay based on Dr Steinbock’s new book, “Winning Across Global Markets: How Nokia Creates Strategic Advantage in a Fast-Changing World” (Jossey-Bass, April 2010) — the first independent account that is based on interviews with all of Nokia's senior executives in the past two decades.